In addition to a thorough clinical exam, we regularly require further diagnostic tools to investigate your pet's problems. X-rays are an essential tool in the diagnosis of many surgical and medical conditions. We have a powerful digital x-ray machine on-site that allows us to x-ray all parts of even the largest dogs. 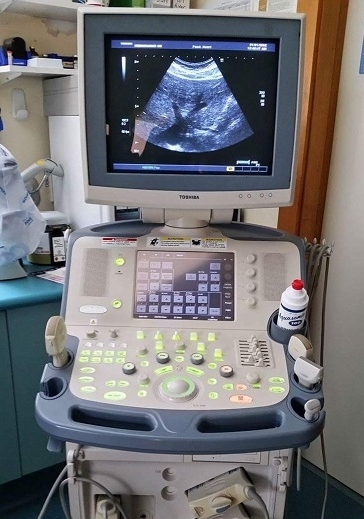 Ultrasound is a useful complement to x-ray. This allows further investigation of internal organs and pregnancy diagnosis. Electrocardiography (ECG) is used in the diagnosis of heart conditions and allows us to assess heart rate and rhythm.